If you have been looking for HVAC services for your Long Island home or business, look no further than Excellent Air Conditioning & Heating, Inc. Excellent Air Conditioning & Heating, Inc. provides specialized HVAC services for many customers throughout Long Island. Our company specializes in HVAC services for your Long Island home or business and we also offer emergency service and repairs. We have assisted numerous customers with HVAC services in their Long Island homes. We are knowledgeable and experienced at helping customers maintain a comfortable temperature and atmosphere for their home or business. Excellent Air Conditioning & Heating, Inc. can perform HVAC repairs, services and preventive maintenance. We always offer service agreements, and 24 hour emergency service for major HVAC services or repairs in your Long Island home or business. Our highly trained and certified technicians offer prompt and professional HVAC services that our Long Island customers can count on. 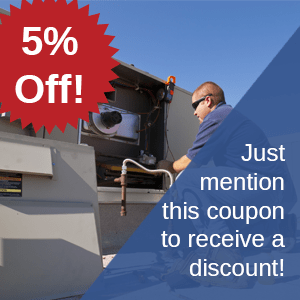 If your HVAC equipment breaks down in your Long Island business, it impacts both employees and customers. We offer HVAC services and replacement options for your Long Island business and if needed, we are available 24 hours a day/seven days a week in the case of an emergency. If a repair cannot solve your HVAC problem in your Long Island home, an HVAC replacement may be necessary. If the problem is too severe, you may need to replace your entire HVAC system. If the HVAC system in your Long Island home or business cannot be fixed at all, Excellent Air can replace the equipment quickly and efficiently. We always offer accurate estimates before we perform the work, and our equipment and parts are always guaranteed. In addition to HVAC services for your Long Island home, we can also discuss equipment replacement options. We have years of experience helping customers with HVAC service needs in the Long Island area. Excellent Air Conditioning & Heating, Inc. will work within our customers’ budgets for any HVAC repair or installation on Long Island and we are happy to let our customers choose the specific products they feel comfortable with. We always keep your budget in mind with any HVAC system for your Long Island home. We only install the best brands and use the highest quality materials for HVAC jobs in both commercial and residential settings on Long Island. Excellent Air Conditioning & Heating, Inc. is the company you can depend on for all your HVC repair needs on Long Island. For any HVC repair or services for your Long Island home or business, contact Excellent Air Conditioning & Heating, Inc. From carbon monoxide and combustion efficiency testing to water heating installation, service and repairs, our technicians have the knowledge, skills and resources needed to provide your location with a comfortable and relaxing atmosphere all year long. Excellent Air Conditioning & Heating Services is an ideal choice for HVAC services Long Island. We offer many other services such as heating systems and the latest in air conditioning systems as well. When you need HVAC services on Long Island, call Excellent Air Conditioning & Heating Services at 631-427-0677.